I can not think of a single show without induction cooktop. As it is easy to carry around, this induction cooktop became my favorite. 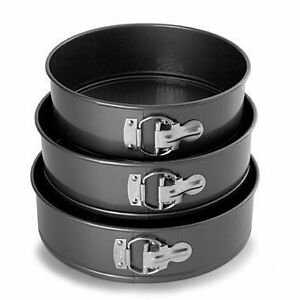 It is easy to use, mess free, makes the cooking safe and fast. 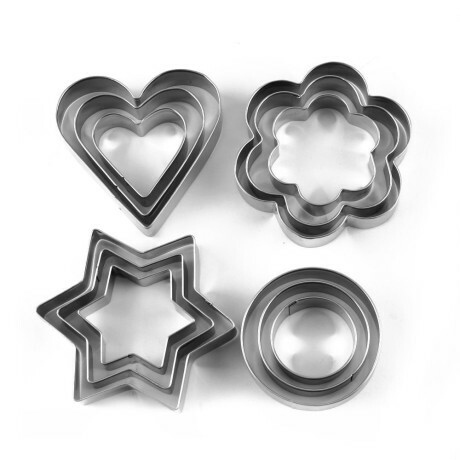 Advanced design system is absolutely perfect for Indian cooking. Temperature control and time settings can also be controlled by touching its inbuilt programmed buttons. The advance technology also offers insect protection and child lock function. Power consumption is minimal. 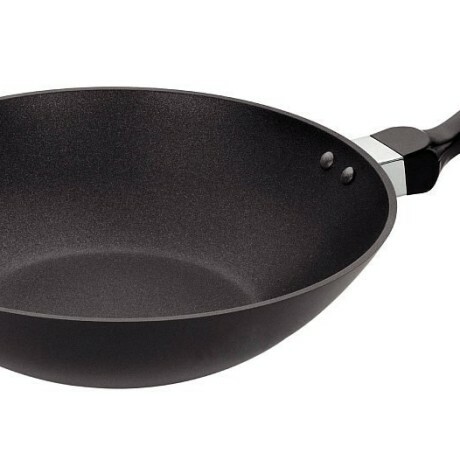 Categories: All, Cookware, Induction Cooktop, Kitchen appliances, Prestige. Tags: Induction Cooktop, Prestige, Prestige PIC 6.0 V2 2000-Watt Induction Cooktop. 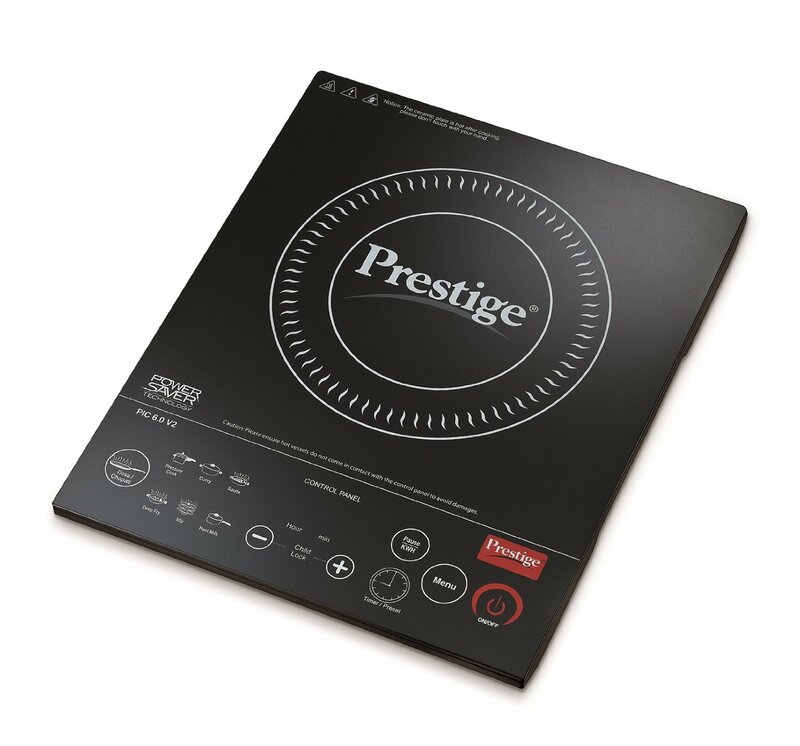 Smart cooking is now at your finger tips with the Prestige PIC 6.0 induction cooktop. A perfect blend of technology, performance and elegance, this cooktop offers uniform and consistent heating. It has a unique design that prevents insects from entering inside. The feather touch buttons on this cooktop allow you to change or control temperatures and also make changes in time settings. 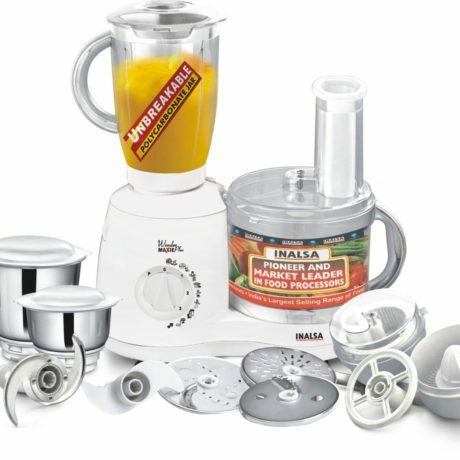 It also comes pre-programmed with various Indian menu options. This PIC 6.0 cooktop comes with an innovative power saver technology that adjusts the heat level of the cooktop according to the size of a vessel. The Prestige induction cooktop comes with a LED display that comes in handy when you are cooking manually as it allows you to keep control on the temperature levels. Along with displaying the temperature details, it also shows the various menu options that you can choose from. This Prestige Cooktop is completely safe for use as it comes with an inbuilt micro-crystal panel that protects it from thermal shock and thermal heat. Equipped with an anti-magnetic wall, this cooktop from Prestige ensures that you are always protected from hazardous radioactive waves. 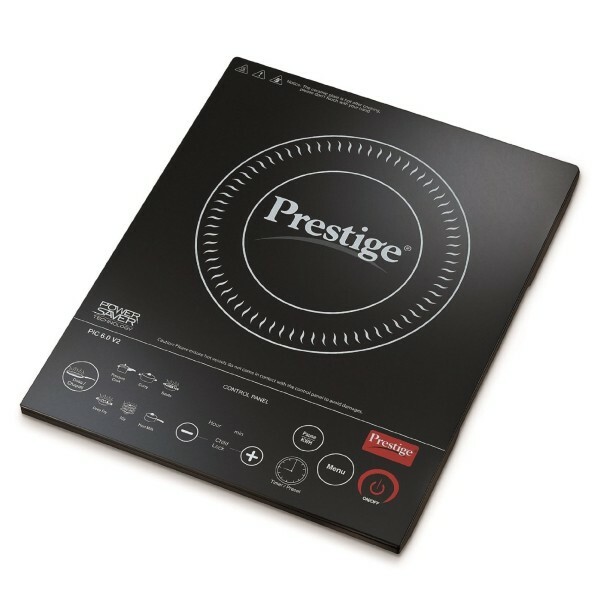 Be the first to review “Prestige PIC 6.0 V2 2000-Watt Induction Cooktop” Click here to cancel reply.